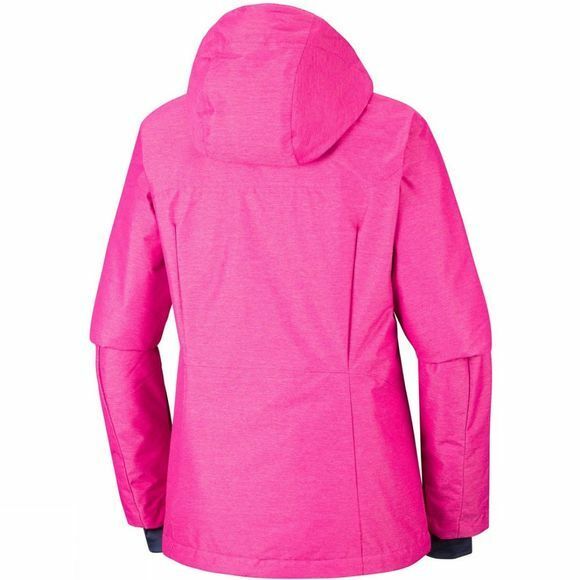 The Alpine Action Jacket for women is a warm and waterproof jacket, ideal for winter sports like ski-ing and snowboarding. It combines the most appropriate technologies from Columbia's range to give you a great performing jacket which you can trust, time and time again. The Omni-Tech shell fabric provides premium waterproof protection by stopping outside elements like wind and rain from getting in, while allowing moisture vapour that builds up on the inside to move out. The Omni-Heat thermal reflective lining helps you to regulate your temperature with small foil dots that reflect and retain the warmth that your body generates while still being super breathable and dissipating any excess heat. The Microtemp filling contributes to the insulation by trapping the warm air in its fibres and spreading it through the jacket. There are multiple pockets on the jacket which are perfect for storing your essentials including a ski pass pocket on the lower arm and a goggle pocket on the inside of the jacket for when you don't necessarily need them. The hood is removable and fully adjustable while there is also an adjustable drawcord at the hem. The cuffs are adjustable too and an inner cuff provides soft comfort to your hands and stops any drafts or snow getting up into your sleeve. There is also an adjustable snap back powder skirt which will stop any snow making its way up your jacket should you fall. 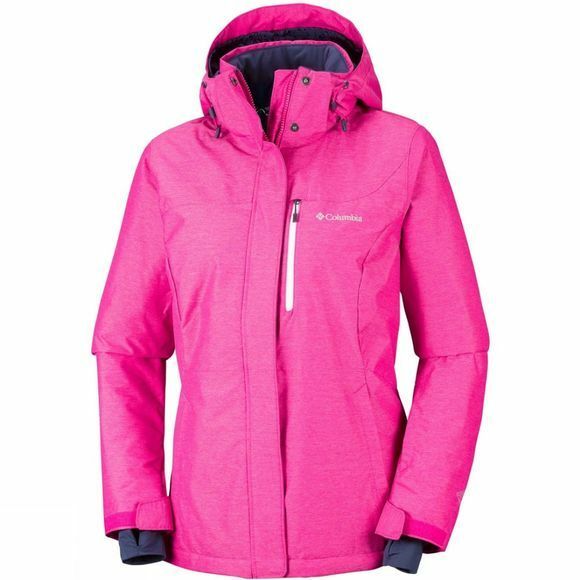 A great option from Columbia which is packed with features designed to make your time on the hill as easy and comfortable as it can be.